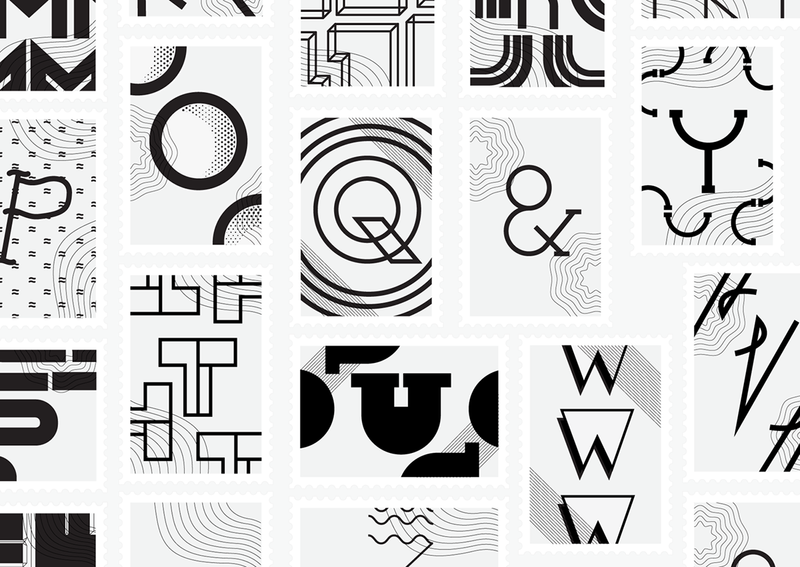 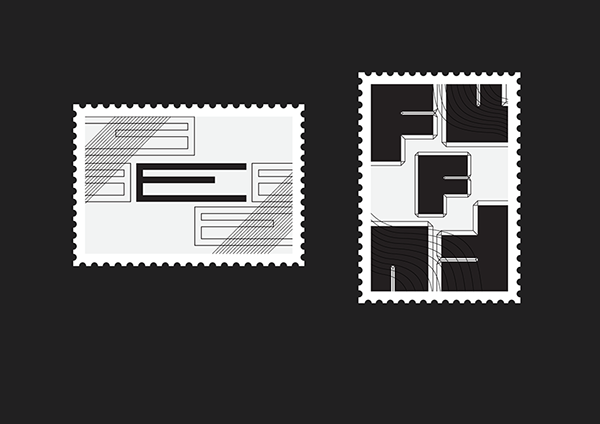 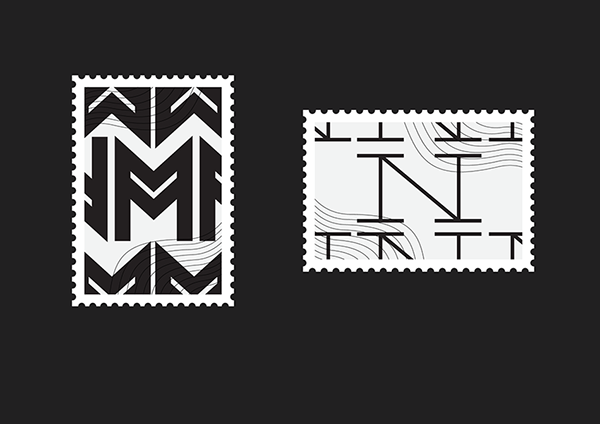 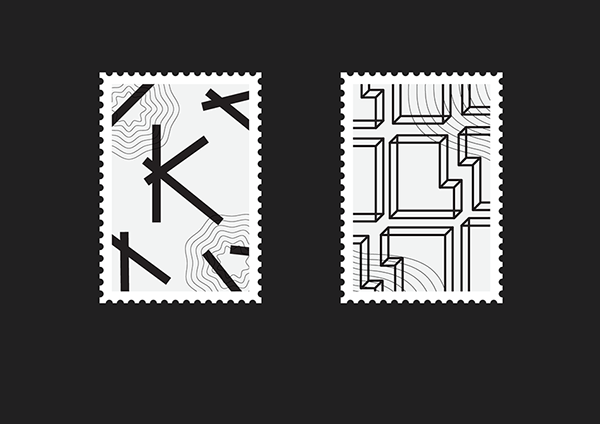 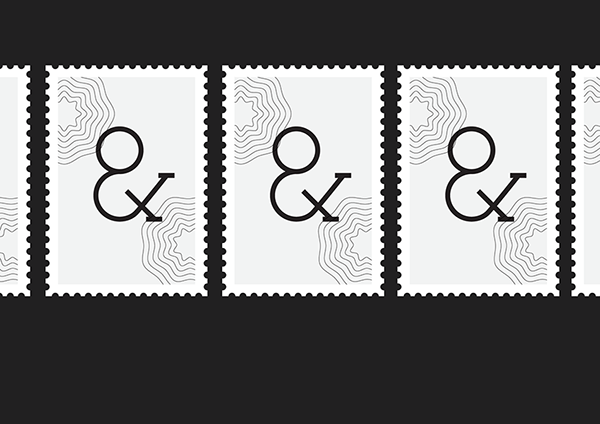 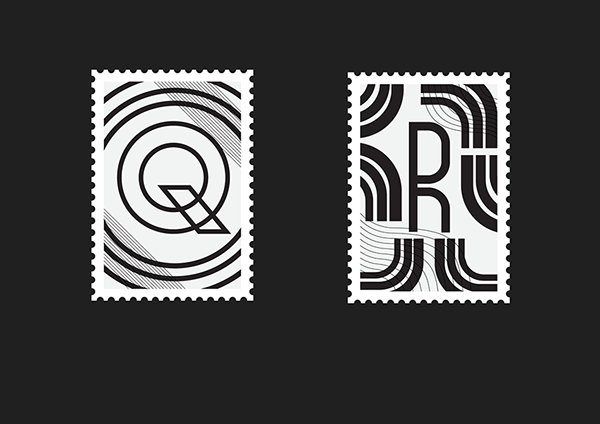 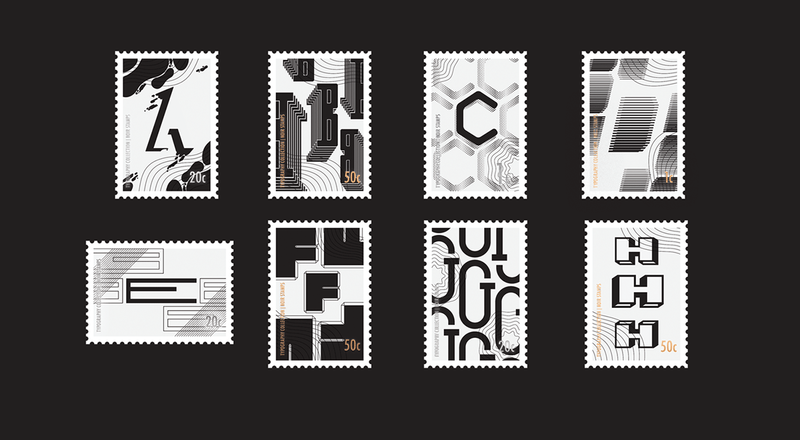 The design process started as single letters which then I incorporated them into stamps. 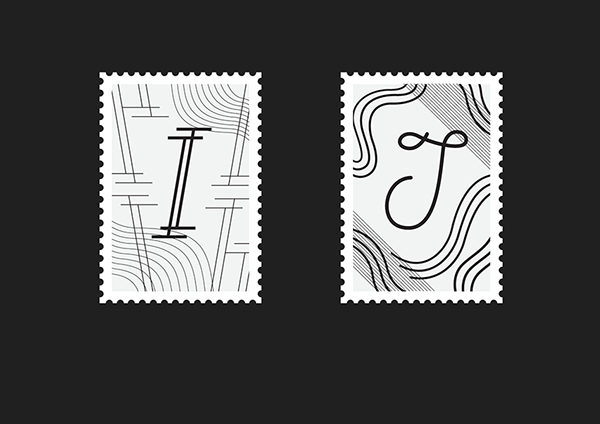 Film Noir is a cinematography theme that I love and decided to follow the style and feeling of it for the lettering stamps. 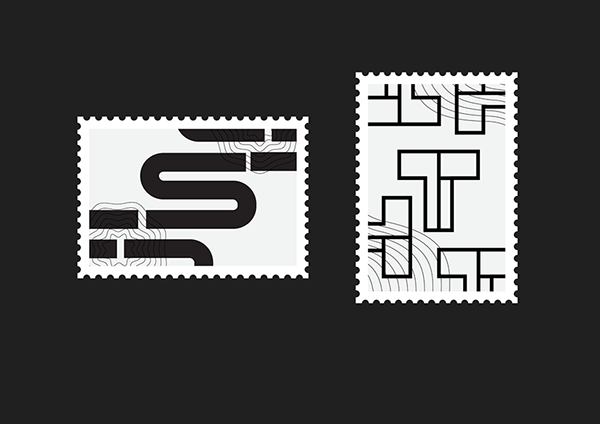 Some themes like the shadows, the contrast of light and darkness and always the mystery. 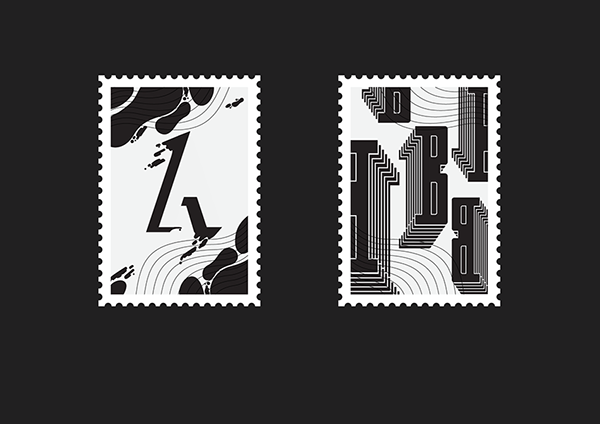 Looking at some film noir movie titles, I came up with these letter forms and design them with simplicity and contemporary character. 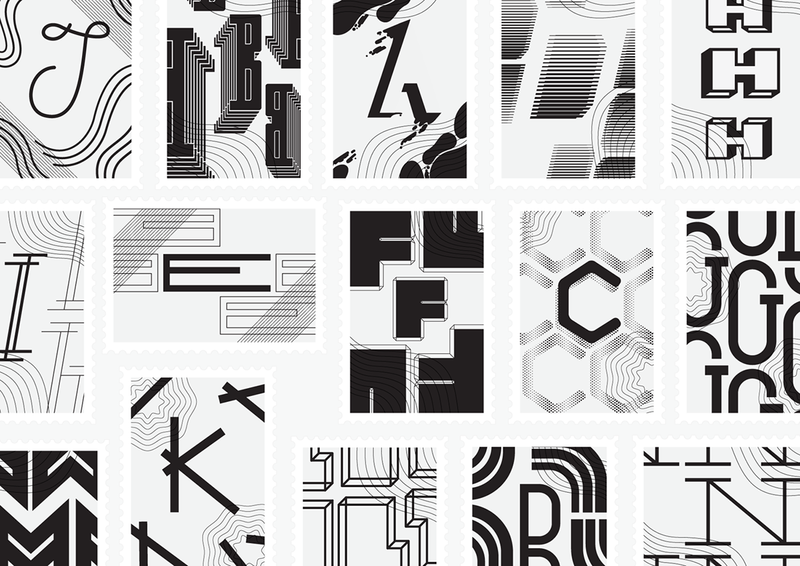 Of course simplicity through repetition and following the form of each letter. 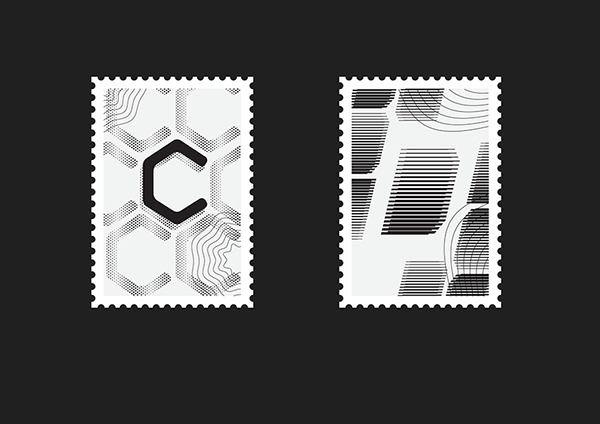 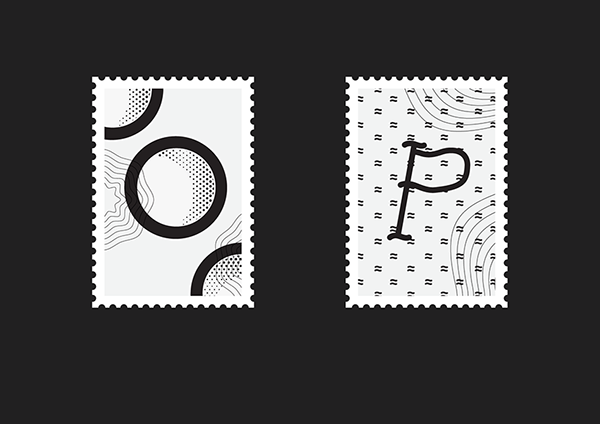 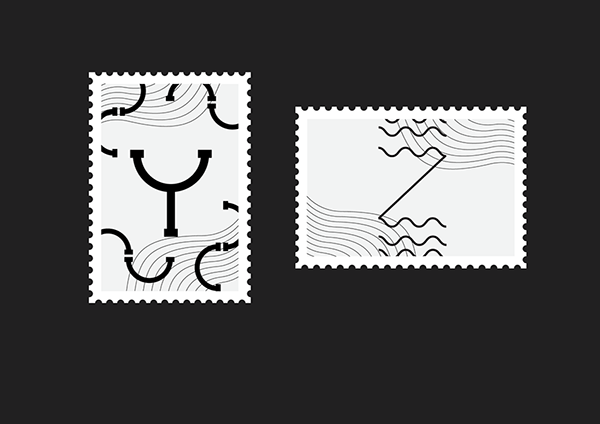 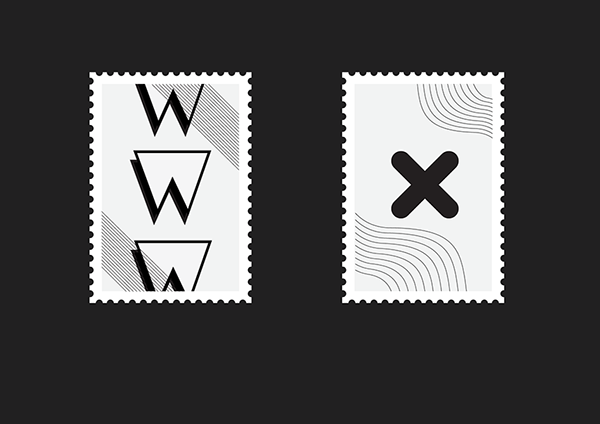 When creating the stamps, I wanted to make them look as tiny posters one by one and work together as a collection. 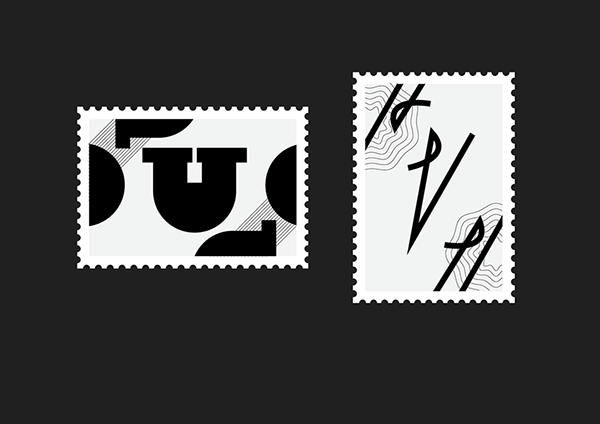 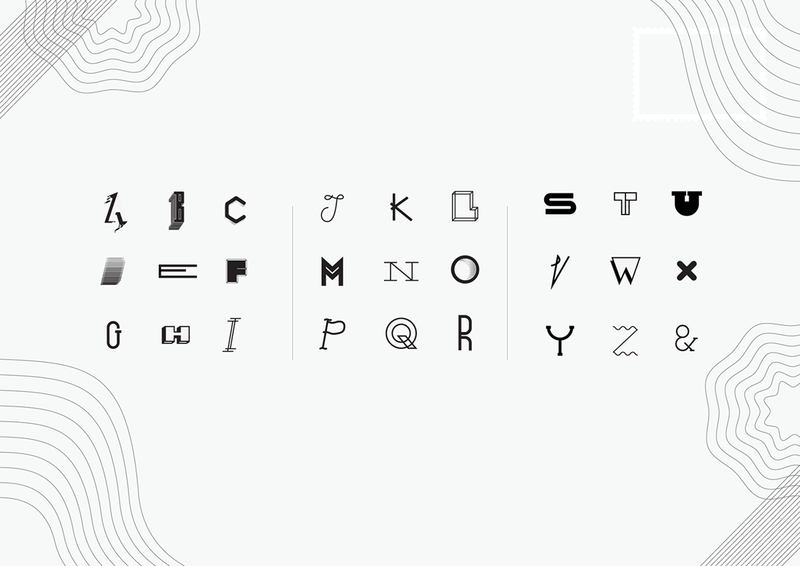 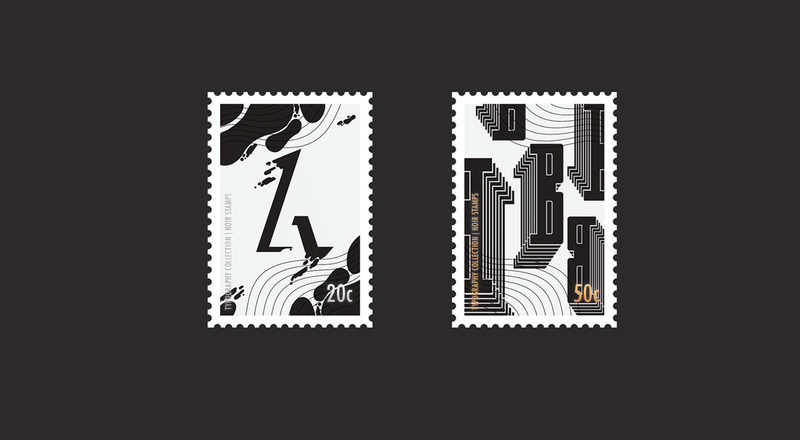 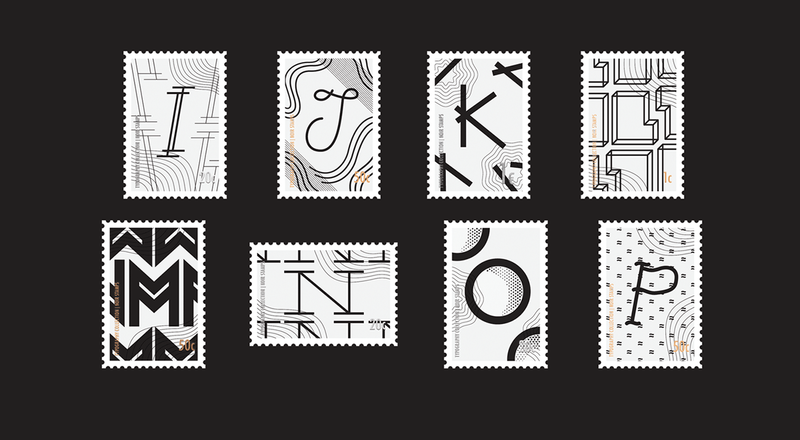 Noir Stamps - Typography Collection. 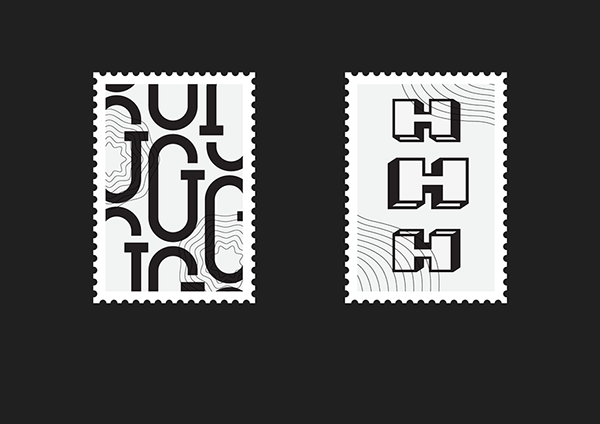 Copyright 2017-2018 @ Afroditi Constantinou.